Twice on Tuesday unveiled its new teaser image for the upcoming mini-album “Twicecoaster: Lane 2,” featuring Nayeon, Tzuyu and Sana. 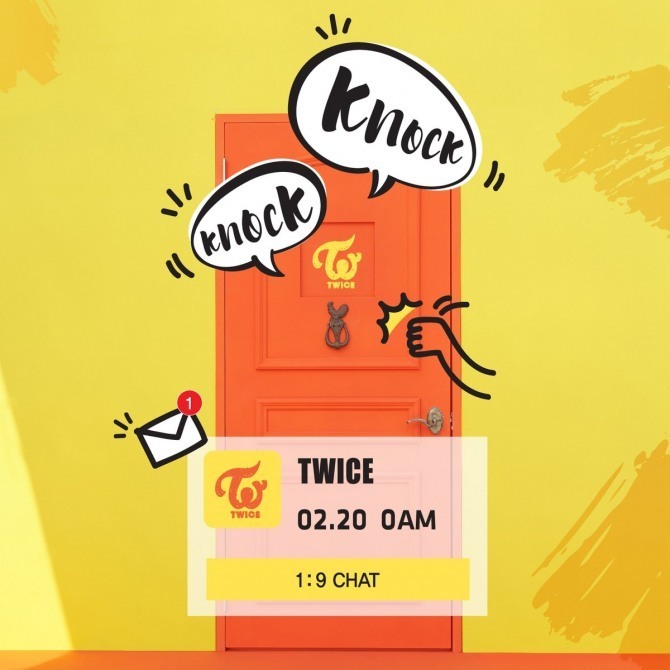 In line with the “knocking on doors” concept of previous teaser images, the photos revealed at midnight showed the three singers posing by the door. The group is set to release the new album on Tuesday. It is to include main track titled “Knock Knock.” Prior to its release, Twice will hold concerts from Friday to Sunday at the SK Olympic Handball Stadium in Songpa-gu, southern Seoul. The nine-member girl group will look to repeat its success of 2016, when it became the best-selling all-female K-pop band of the year. Its smash hit single “Cheer Up” bagged the grand prize for best song at last month’s Golden Disc Awards and won song of the year at the Melon Music Awards and MAMA 2016.